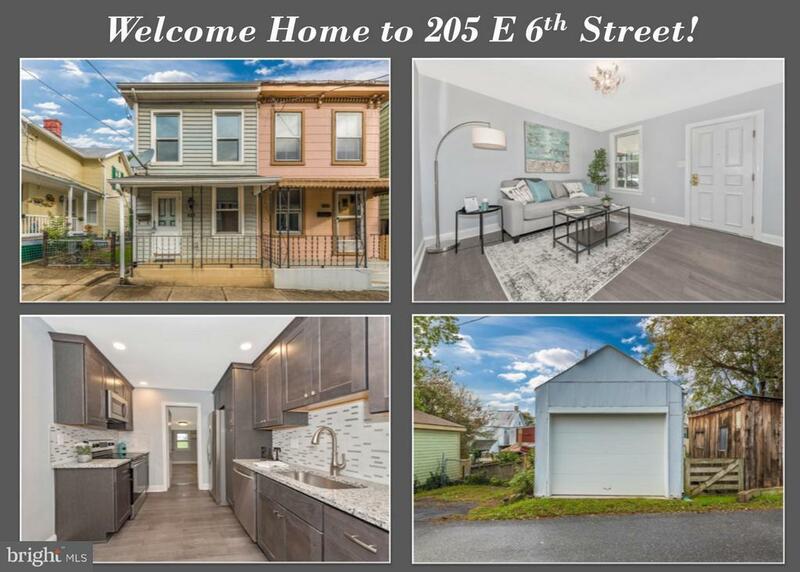 Pack your bags because youre going to fall in love with this gorgeous, fully renovated, 3 bedroom 2 bathroom home in Downtown Frederick! Everything has been done for you - fresh neutral paint, new eco-friendly bamboo flooring, stainless steel appliances, solid maple cabinets with soft close hardware, granite countertops, LED light fixtures, plus all new plumbing, electrical, HVAC and new roof - you name it, its been done! Main level bedroom-den, plus two upper level bedrooms and full bath. Plus the home offers a great yard leading to your oversized detached garage with workspace for off-street parking - an invaluable amenity downtown! Walking distance to shopping and dining. Dont miss out on this amazing home!